Can YOUR wedding ring do this? 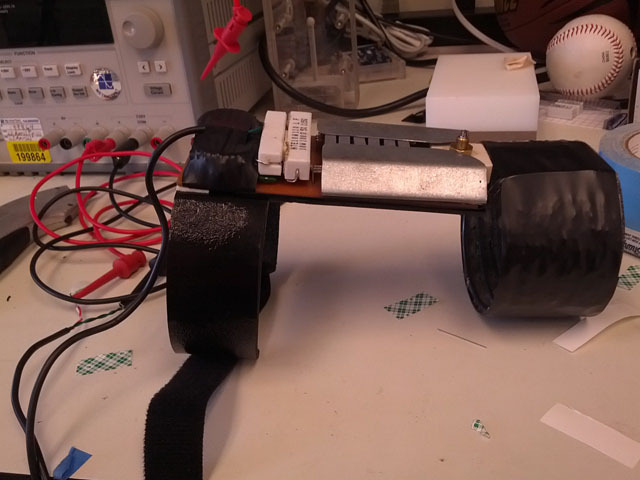 San Francisco engineer Ben Kokes proposed to his girlfriend earlier this month with a ring that lights up when he is nearby. In a blog post on his website, Kokes explained that he made the ring out of titanium, and embedded an LED light and copper coil under the stones. He also fashioned an armband that contains an alternating magnetic field that, when three to four inches away from the ring, causes the copper to generate a current that lights the LED, illuminating the stones. Kokes told NBC News Wednesday that he put on the armband (covered by his sleeve) and took his girlfriend, Julie, hiking near San Francisco. 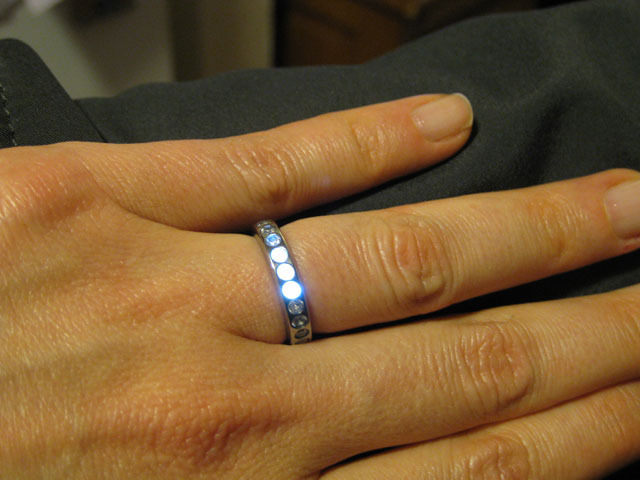 After proposing, he gave her the ring -- then, he moved his hand close enough to the ring to activate the LED. He wrote on his website that he had intended to take Julie to a jeweler the next day to pick out a traditional ring, but she liked the LED ring so much she asked him to make her a new, more permanent version. One creative groom-to-be recently made a wedding ring inspired by the video game "Halo". Another man constructed an engagement ring out of a silver coin earlier this year. 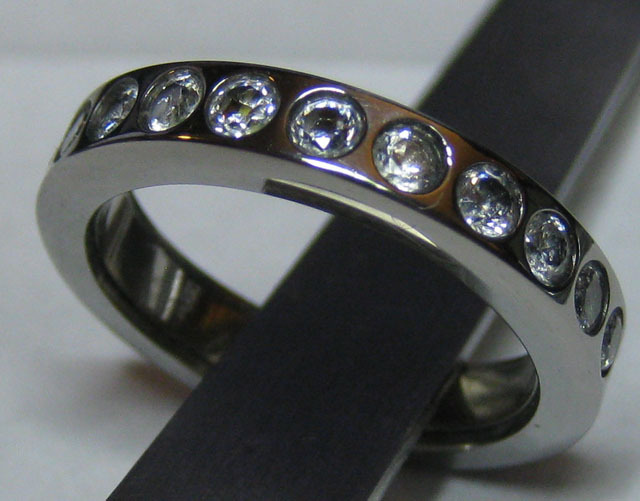 Learn how to make a wedding ring out of a coin the the slideshow below.